The recent news of the defunding of public art organizations and artists, in particular, have left many reeling with disbelief and apprehension. How will this disempower artistic expression in our country? What power does art give to artists? The mystique surrounding artists creates the image of a person who shares ideas, critiques, and desires with the world. There is often a certain nobility associated with the nonconformity of the artist. In reality, many artists often live on the margins of society. Some of them may be the black sheep of their family, or for a variety of reasons, be seen as social outsiders. Many artists live an offbeat lifestyle, adopt an unorthodox dress code, and are known to sometimes be emotionally troubled. Despite the so-called mystique, artists do not seem to be a group with enormous political or social influence. In a modern western society, art often seems to take a backseat to banal interests such as consumerism, sports, or trivia. Art has enormous power to change society. History repeatedly proves the truth of this statement. It is most evident during social crises, coups, marches to war, and the rise of tyrants. Oddly enough, teachers, writers, musicians, and artists are among the first rounded up and disappeared after a political upheaval. The following examples demonstrate that art, as a means by which an individual challenges the powerful, can be viewed as something sinister and suspect. The nation of Chile in 1972 saw a CIA backed coup toppled the democratically-elected, though left-leaning, government of president Salvador Allende. 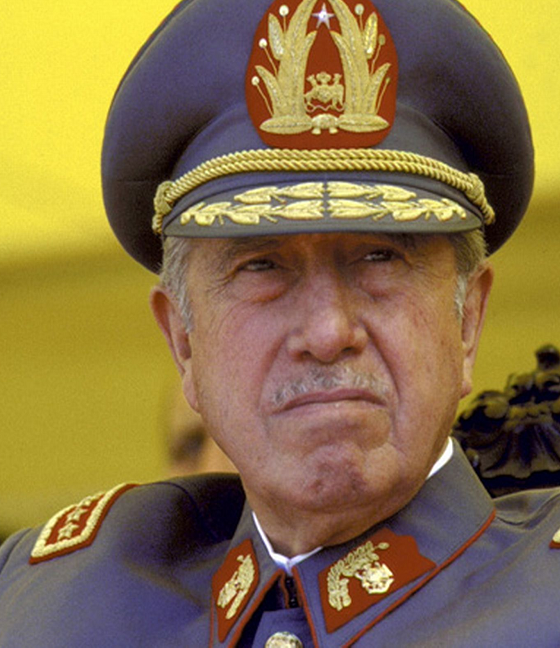 The coup supporters installed a military dictatorship of General Augusto Pinochet. One of the first acts was to arrest dissidents, some 80,000 were interned, and up to 4,000 people were killed or just vanished. Victor Lidio Jara Martinez was a Chilean teacher, theater director, poet, and singer-songwriter. 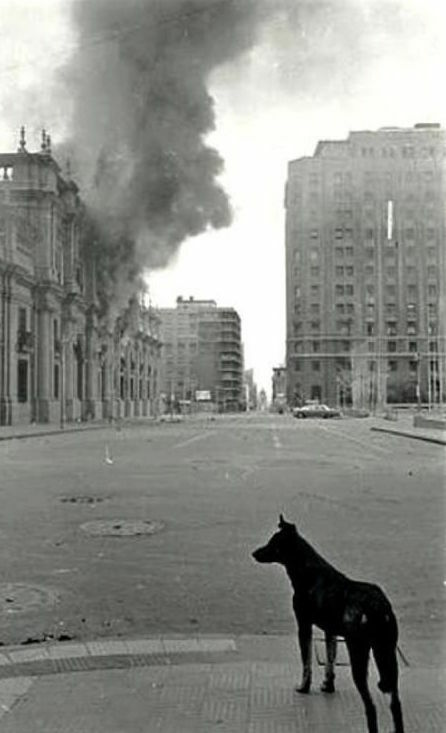 He had supported the election of Allende and protested vehemently the draconian methods of the new regime. As a guitarist, he wrote and performed songs about love and social justice. Because of his popularity as an artist, he was arrested and tortured. His captors smashed his hands, then mockingly handed him his guitar, and subsequently shot him 40 times. When you think about a theater director and a guitarist, it is difficult to imagine what real threat he posed to a heavily armed dictatorship. 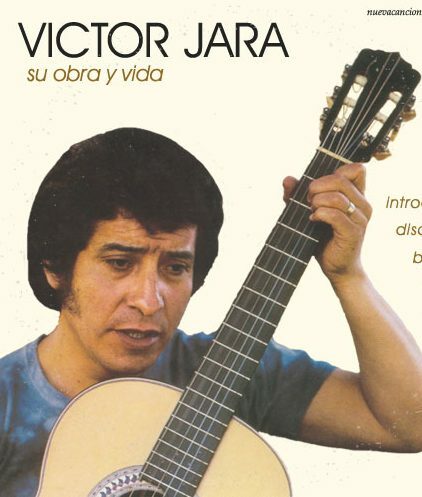 Victor Jara Martinez’s music spoke to the soul of the Chilean people; in doing so he became the biggest threat of all. You cannot talk about dictatorial oppression without the subject of Nazi Germany coming up. Hitler’s Germany is universally acknowledged as the embodiment of an evil dictatorship. It is well known that the Nazis burned books they deemed “unacceptable”. That term usually meant anything that was anti-war, upheld individualism, reason, or democracy. Early in his reign, Hitler delivered a speech declaring “merciless war” on degenerate art. He decried the cultural disintegration, attacking “chatterboxes, dilettantes, and art swindlers”. 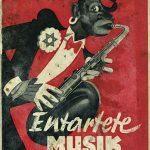 Hitler believed certain art forms, books, and music (such as jazz) to be “an affront to German culture”. The art made by “unworthy” Germans, Africans, and Jews, was confiscated (stolen) from homes or museums. The Nazis put the art on display in an attempt to ridicule it. Their efforts backfired. The art drew huge crowds. The Nazis felt threatened and permanently hid the art from public view. Hitler and his men managed to steal or destroy a substantial amount of European cultural heritage. Hitler himself was a failed artist. He blamed his failures, as well as everything else, on the Jewish residents of Germany. The Nazis feared any art that questioned the morality of war or emphasized shared humanity, believing it posed a threat to their rule. The Nazis were masters of propaganda. As such, they understood the power of art; they used films, music, and pageantry as propaganda. Nazi art emphasized militarism, uniformity, collective identity, supremacy, and forward movement. 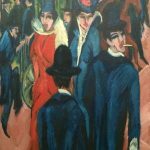 The existence of “degenerate art” challenged that. In the Soviet Union, In the 1920s and 1930s, 2,000 writers, intellectuals, and artists were imprisoned and 1,500 died in prisons and concentration camps. Much more people were killed under Stalin, numbering in the millions. 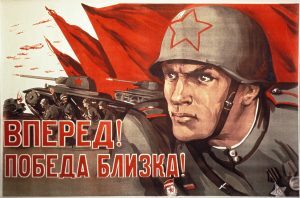 As Stalin declared war on humanity, one of his primary targets was “unacceptable art”. Stalin like his archenemy Hitler, was widely regarded as a monster to all the Soviet people, so things were supposed to change after his death? 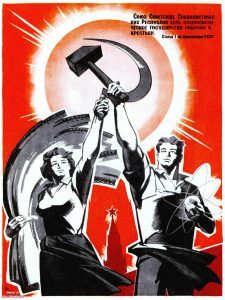 In reality, little if anything changed after Stalin died and artists still faced uncertainty, poverty, ostracism, and arrest. 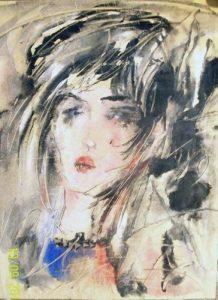 One such artist was an internationally celebrated painter in Russian Expressionism Anatoly Zverev. 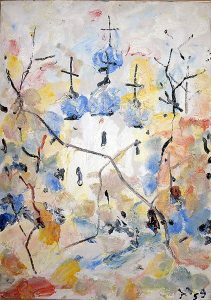 Zverev was a painter who, like some artists, suffered periodic “emotional instability”. He was part of the nonconformist movement and faced a life of poverty and persecution because he would not follow the communist’s expectations. His criticism of communism in his homeland, as well as his notoriety abroad, made the Soviets feel threatened. Eventually, they called for his arrest. To avoid arrest, Zverev went into hiding; he lived a “hand to mouth” existence, never knowing where he would spend the next night. As with the first two examples, Zverev posed a threat to the order. What could a depressed painter do to threaten a state with armed soldiers, and secret police? The fact that they believed he was a threat proves the power of art and those who can wield it. Art does not simply pose a threat to dictatorships. Sometimes a democracy bent on deceiving the public will suppress art to get their way. This was evident in 2003 with the shrouding of a copy of Picasso’s Guernica in the U.N. building. Guernica was originally painted by Pablo Picasso in response to the murderous destruction of the Spanish town by the so-called Condor Legion. 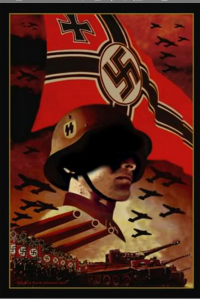 The legion was comprised of the air forces of Nazi Germany and Fascist Italy. During the Spanish civil war, when Generalissimo Francisco Franco allied with the Nazis, he allowed them to use the town as target practice. Guernica sat at a strategic crossroads. The nature of its location was an unfortunate fact for the ill-fated residents of the town. Many innocent civilians were brutally killed. The painting based on the attack captures the horror of the event. It is widely regarded as the quintessential anti-war painting. What could be so controversial about a well-known painting’s anti war message? The answer to that question was demonstrated in 2003. 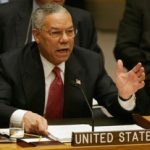 U.N. personnel were instructed to cover up the Guernica copy while speeches muttering faux justifications for the Iraq war were occurring. Did this painting draw too many uncomfortable parallels; could it influence the decision to go to war? Someone must have thought so. The Iraq war destabilized the entire Middle East. This resulted in the deaths of thousands more innocent civilians and gave rise to Isis . LEARN MORE ABOUT THE POWERFUL IMPACT ART POSES TO THE WORLD, AND HOW THIS CULMINATES IN THE PRESENT DAY DEFUNDING OF THE NATIONAL ENDOWMENT OF THE ARTS. Historian D. Berubé will periodically post art history videos, podcasts, factual and interesting historical musings, how to foster artistic self expression, and studio life at Paloma Negra Studios. I love all that you do Darrell! And the history behind every piece.